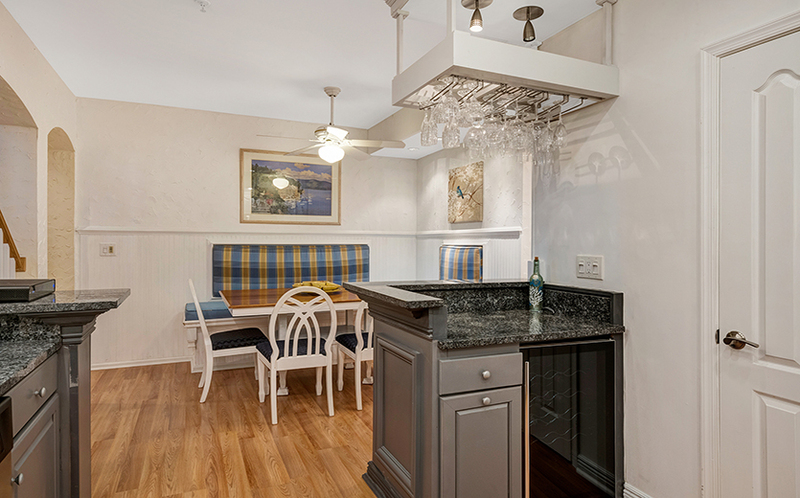 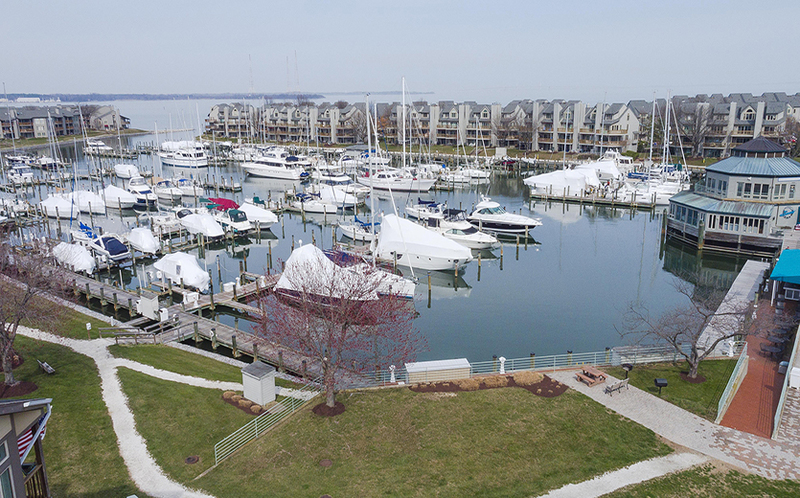 7014 Clinton Court is a fabulous Annapolis townhome located in the desirable waterfront community of Chesapeake Harbour. 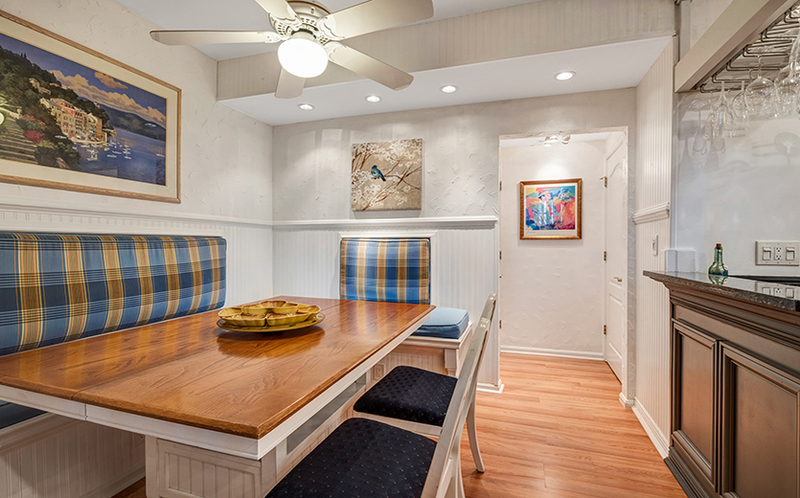 This end unit has been beautifully cared for and updated. 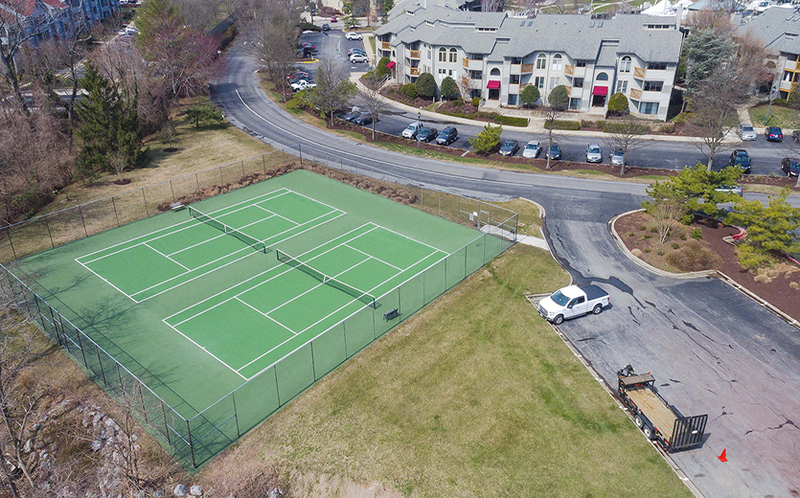 The community amenities include a gated entrance with 24-hour security, a swimming pool with stunning Bay views, tennis courts, a beach, picnic areas, on-site gym, and walking paths. 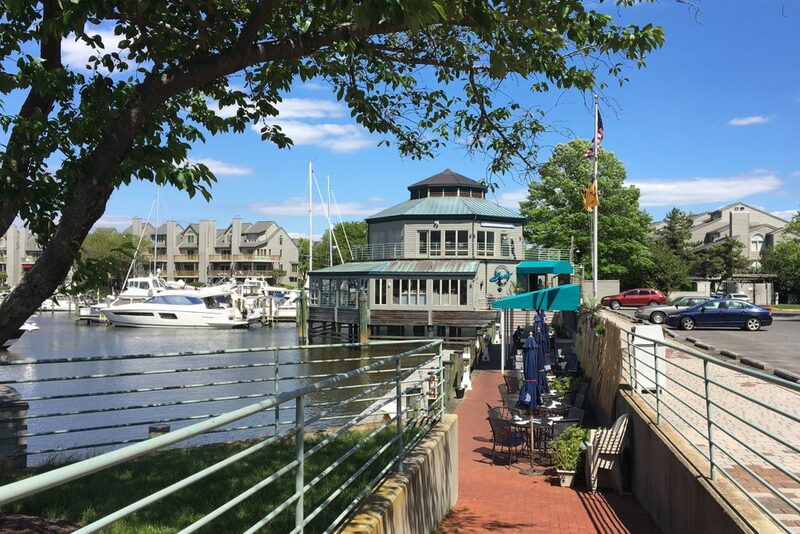 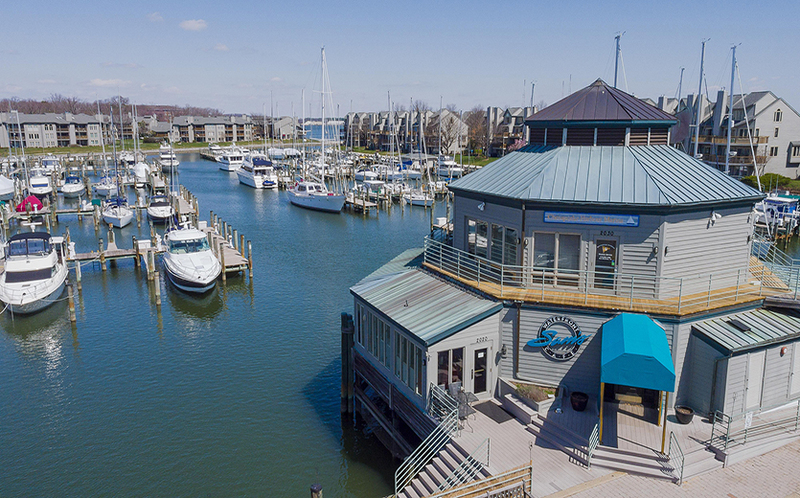 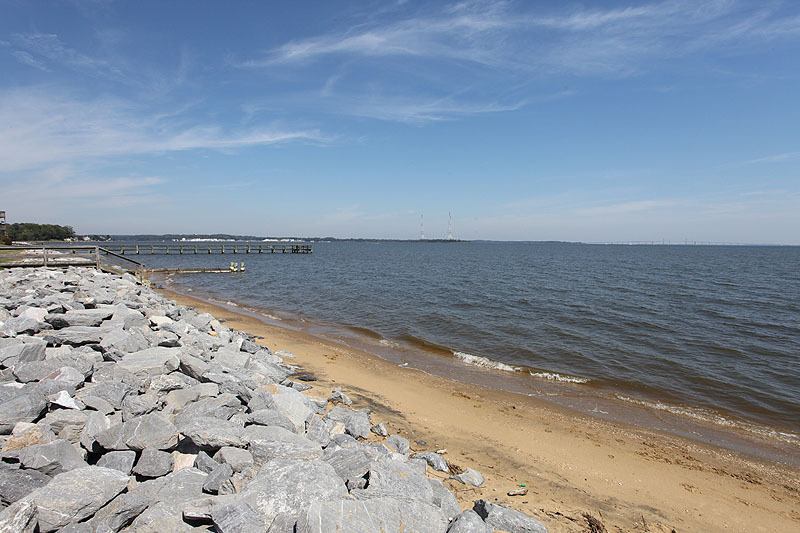 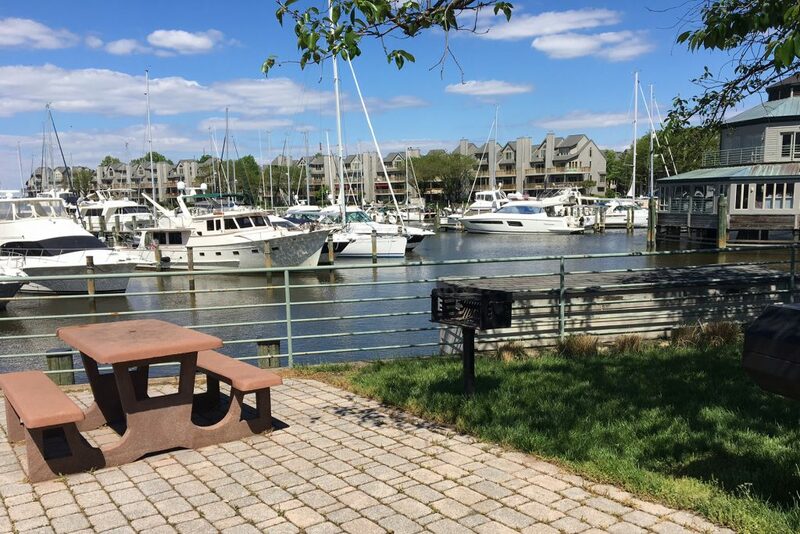 Also on site, the Chesapeake Harbour Marina offers deep water boat slips for rent with direct access to the mouth of the Severn River where it meets the Chesapeake Bay. 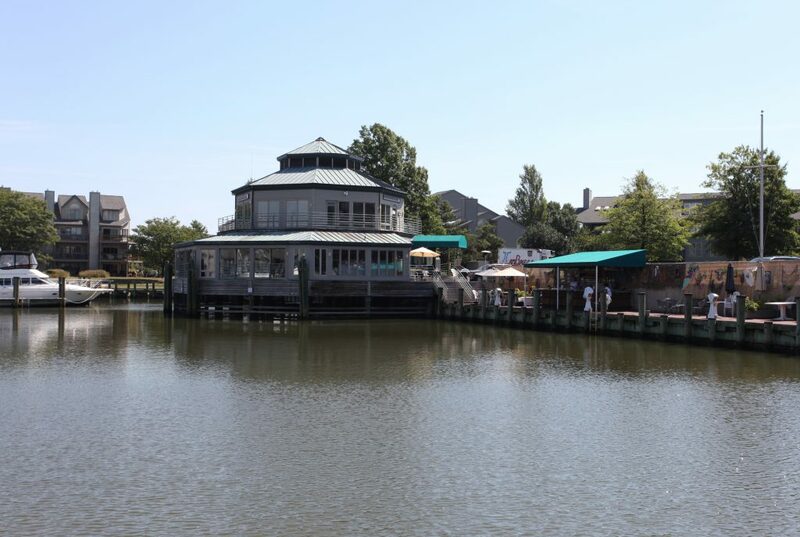 There is even a waterfront restaurant right in the community. 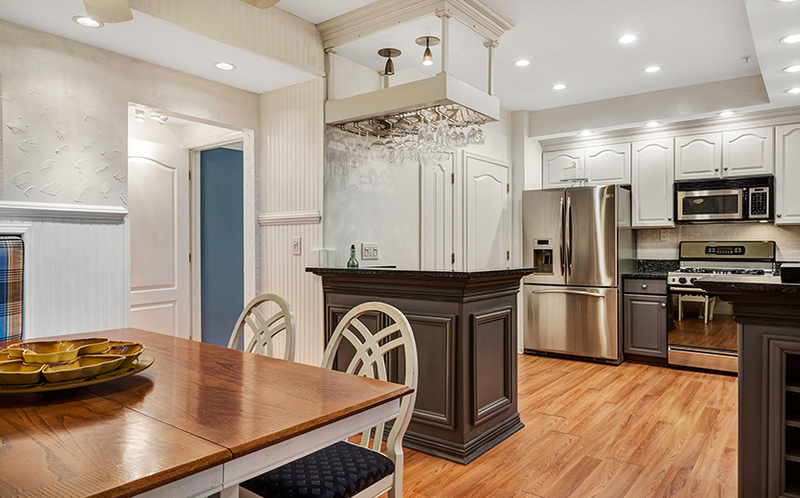 Step into the foyer of this former model home, and the kitchen and dining area are a few steps up. 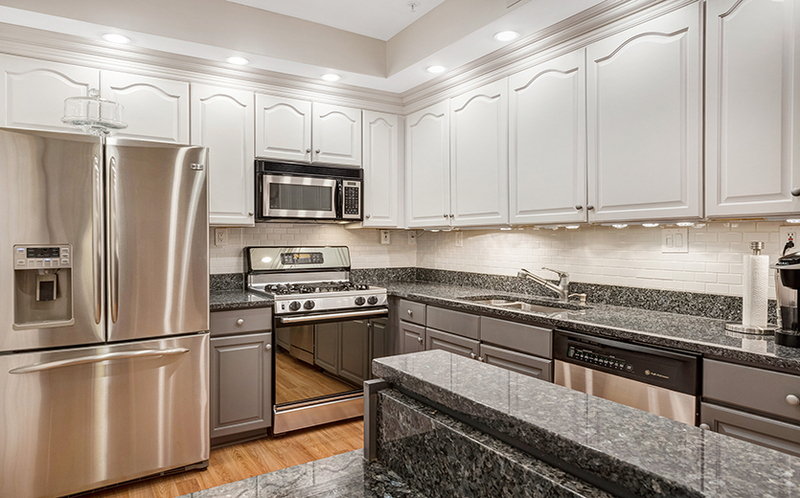 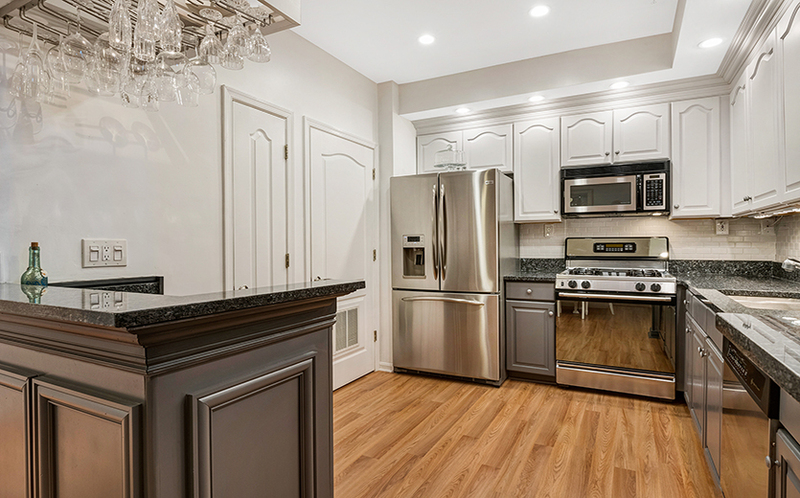 The beautifully remodeled kitchen with granite counters and stainless steel appliances has lots of prep space and an under-counter wine fridge. 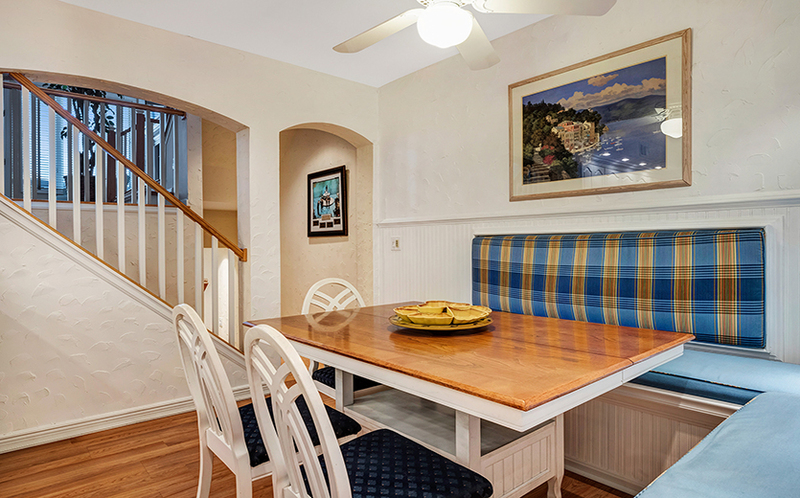 The adjoining dining area with banquette offers seating for six. 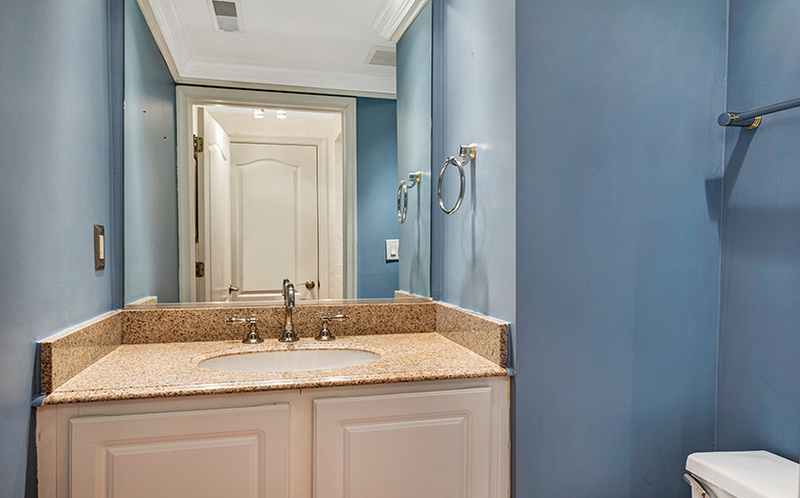 There is also a powder room off the kitchen. 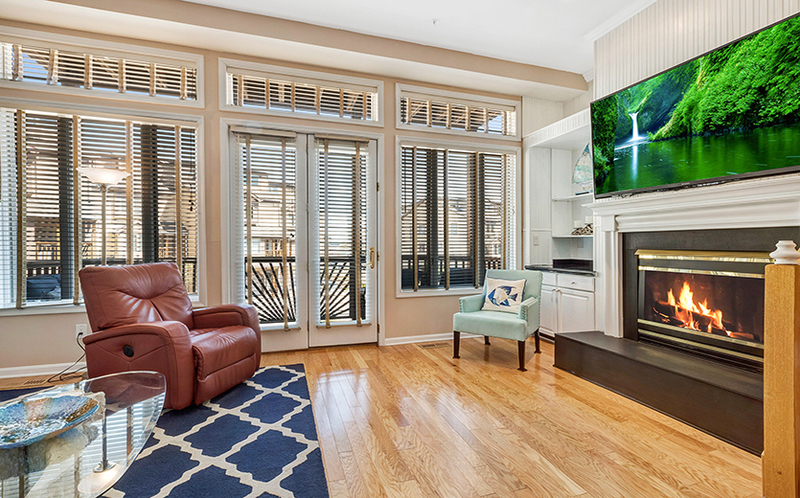 The gracious living room is just a few steps up and includes light hardwood floors and floor-to-ceiling glass. 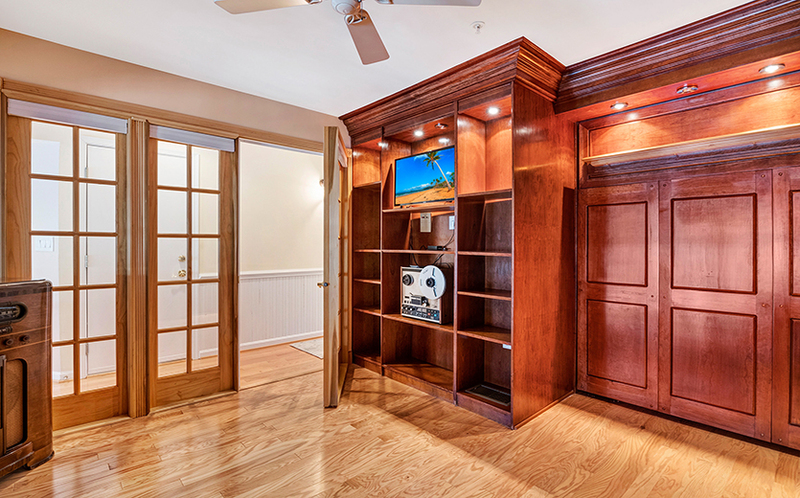 There is a gas fireplace and built-in bookshelves. 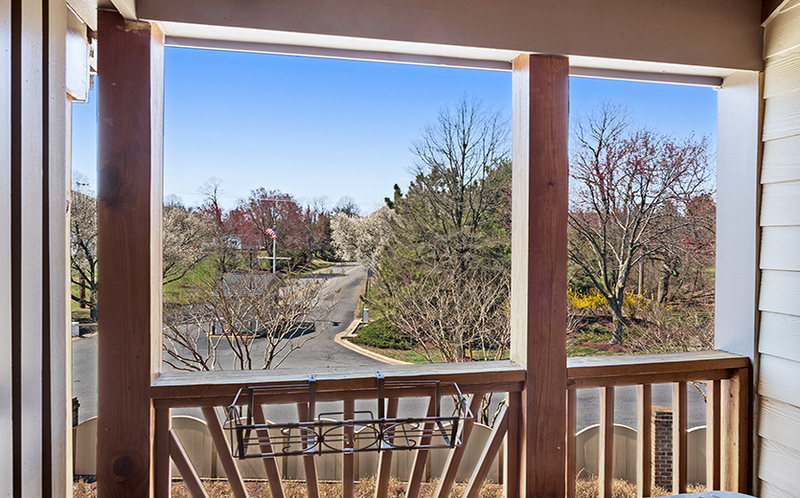 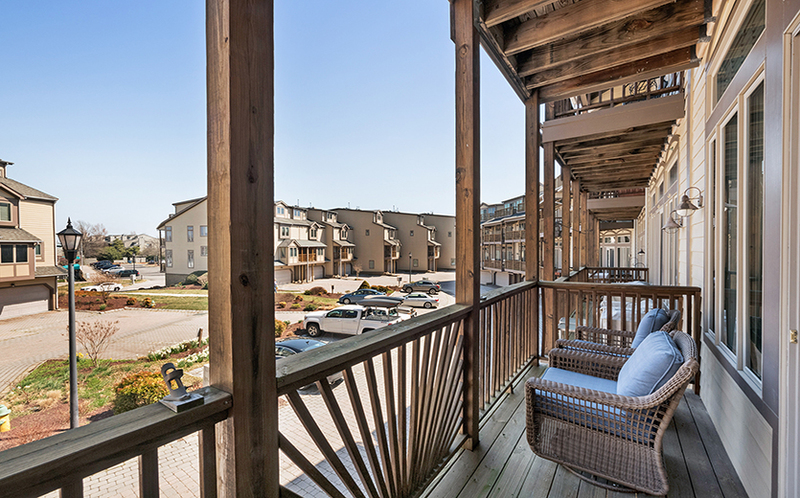 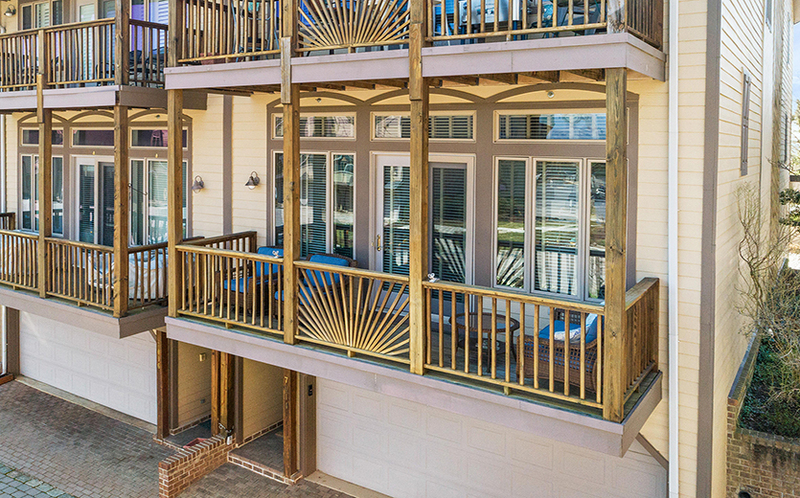 Step out onto the covered balcony and feel the Bay breeze! 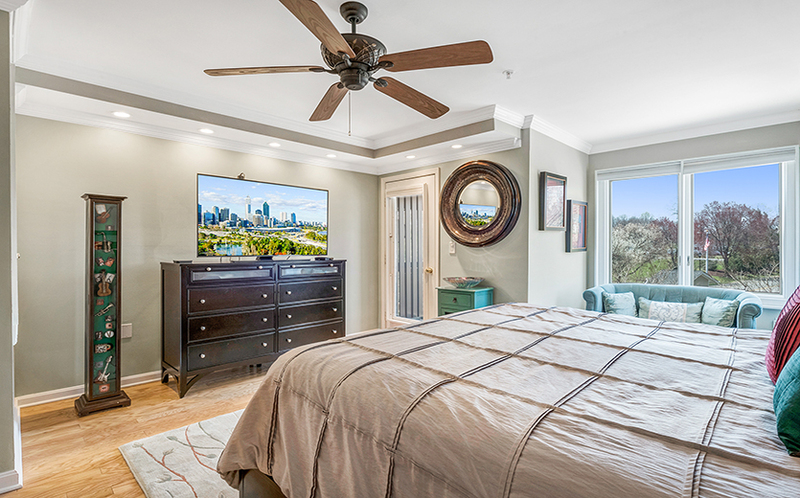 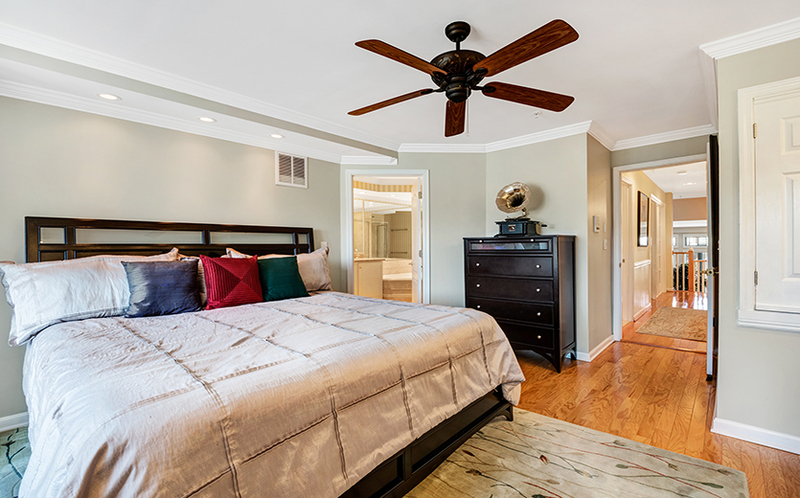 Upstairs, there is a fabulous master bedroom suite, with desk alcove in the bedroom, spa-like bathroom, and walk-in closet. 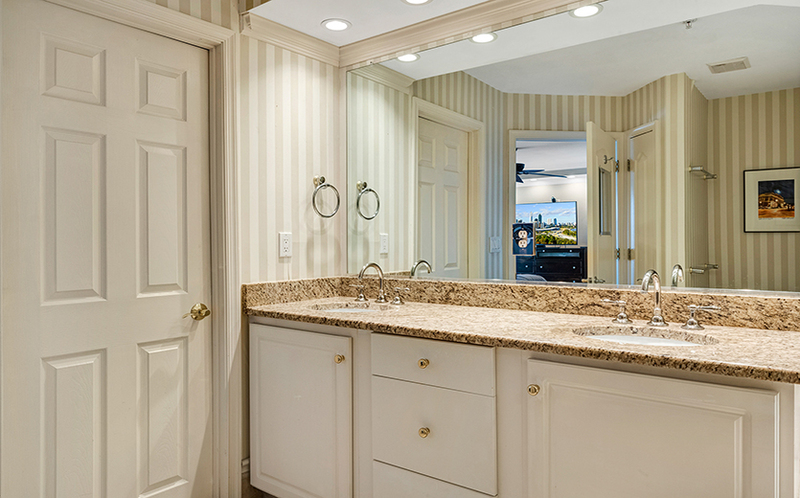 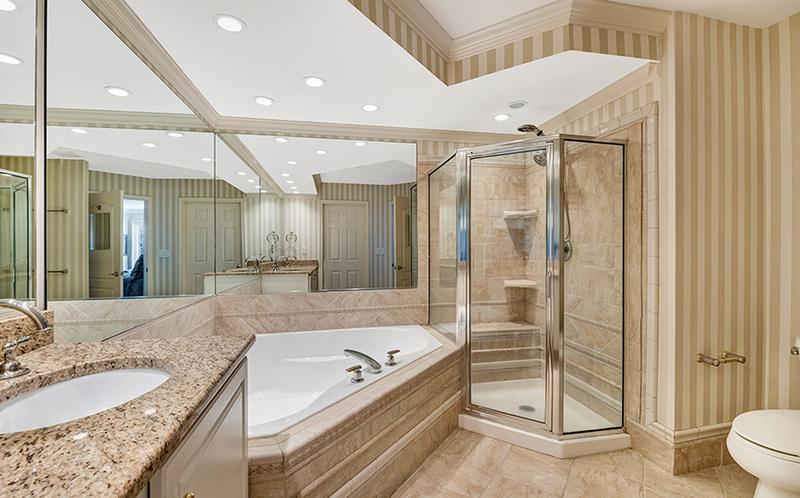 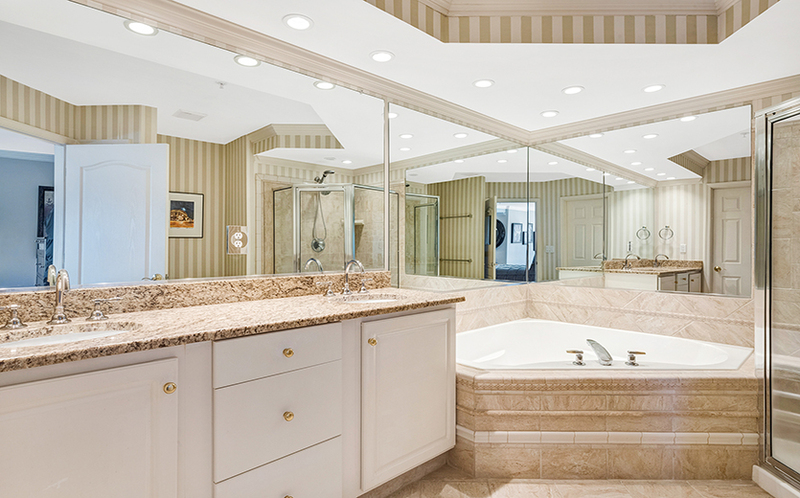 The bathroom includes a double-bowl sink vanity with granite counter, corner soaking tub, and separate shower. 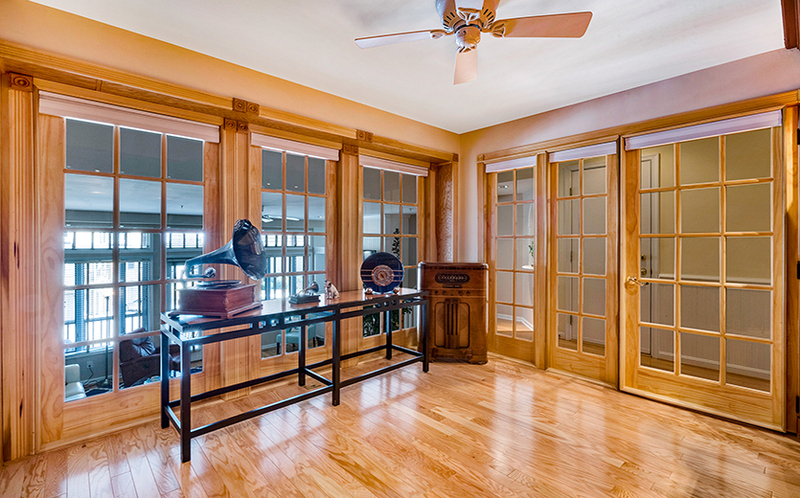 The second bedroom has an old-world feel with floor-to-ceiling glass on one wall and cherry paneling throughout. 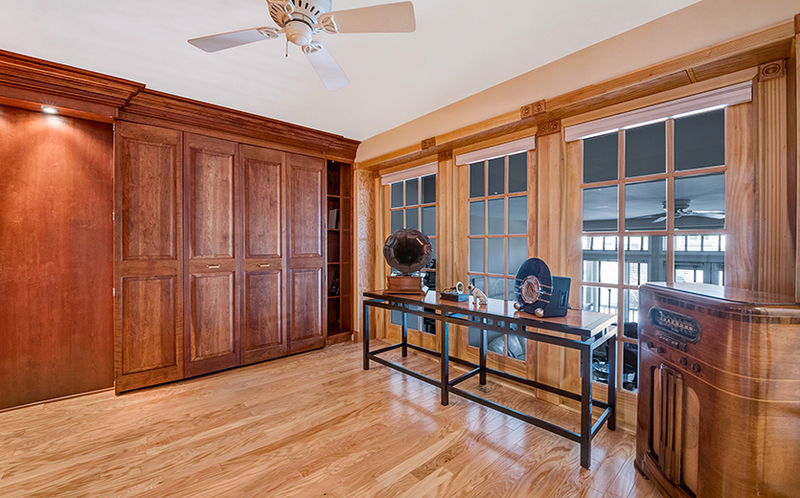 The paneling opens to reveal a desk area on one side; there’s even a pull-down murphy bed for guests! 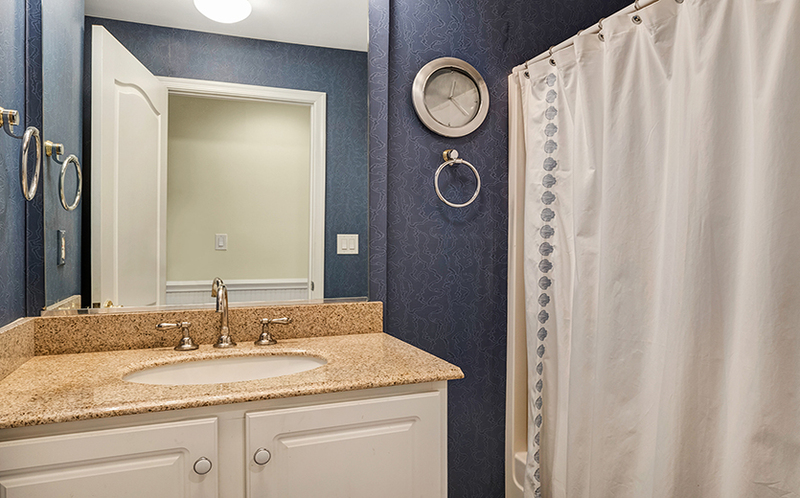 There is also an updated hall bathroom upstairs. 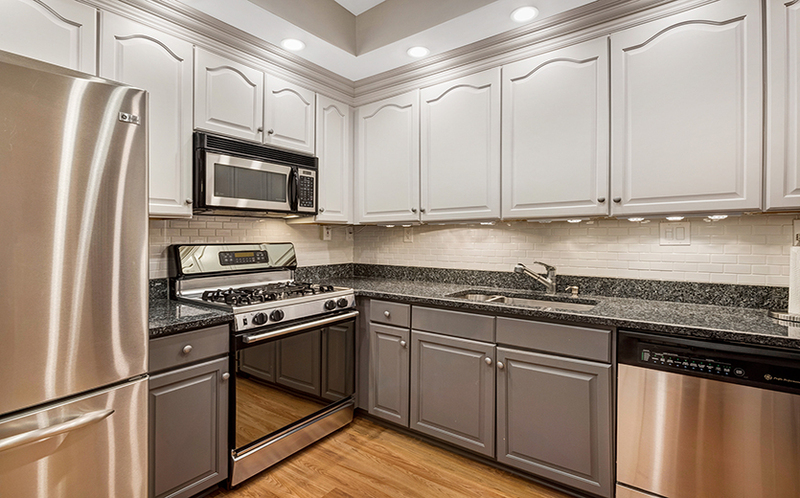 The attached two-car garage includes extra storage space. 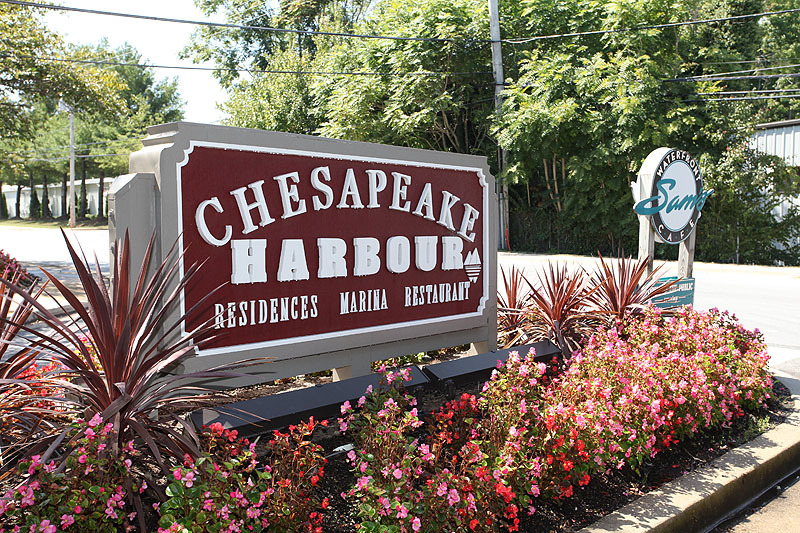 Everything in Chesapeake Harbour is walkable, so enjoy the convenience of all the waterfront & community amenities in your front yard! 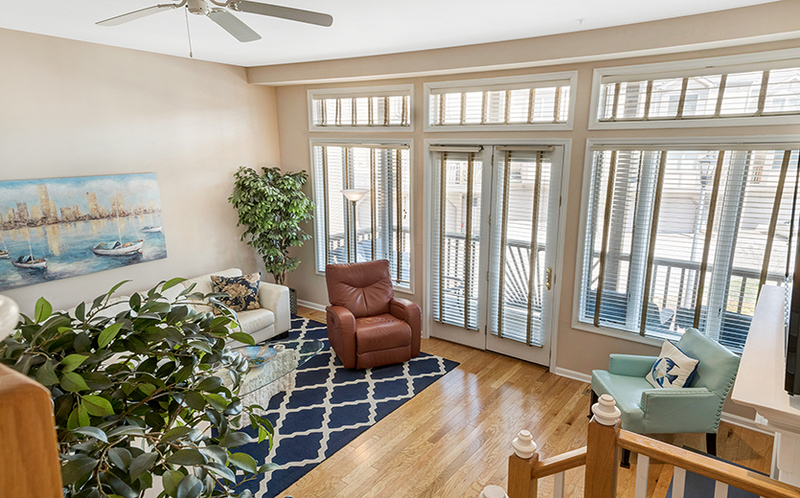 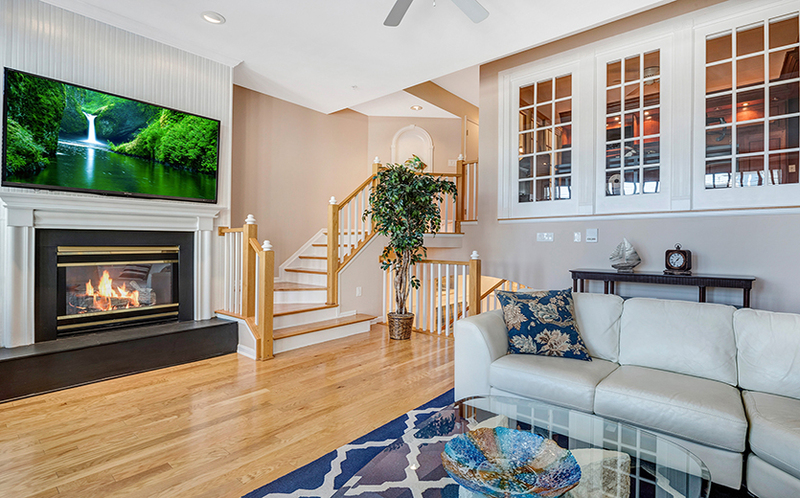 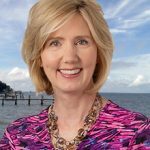 This home is in a tranquil community right on the Chesapeake Bay yet convenient to the shops and restaurants in downtown Annapolis. 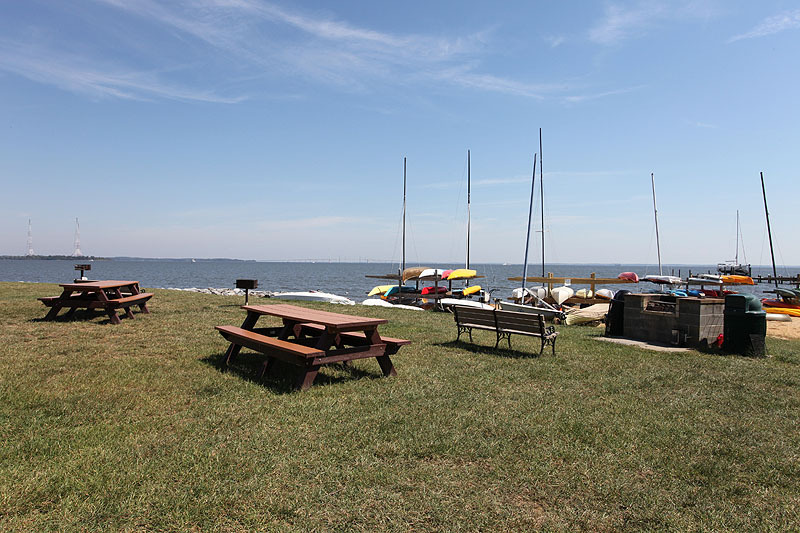 By boat you are minutes from some of the Bay’s prime sailing and fishing spots. 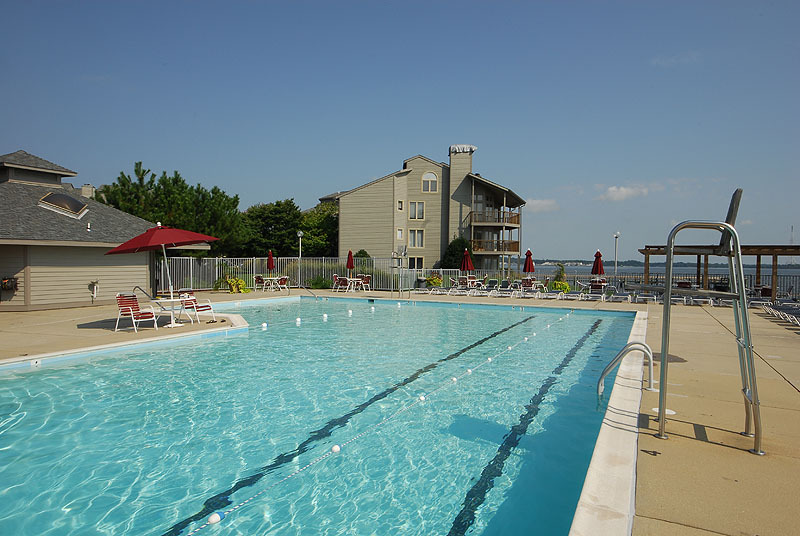 Resort-style community amenities allow you to live the waterfront lifestyle without the maintenance!